We’re shedding some light on the history behind some of these wedding superstitions and explaining why they no longer exist today. Few occasions are more sacred and momentous than an individual’s wedding day. 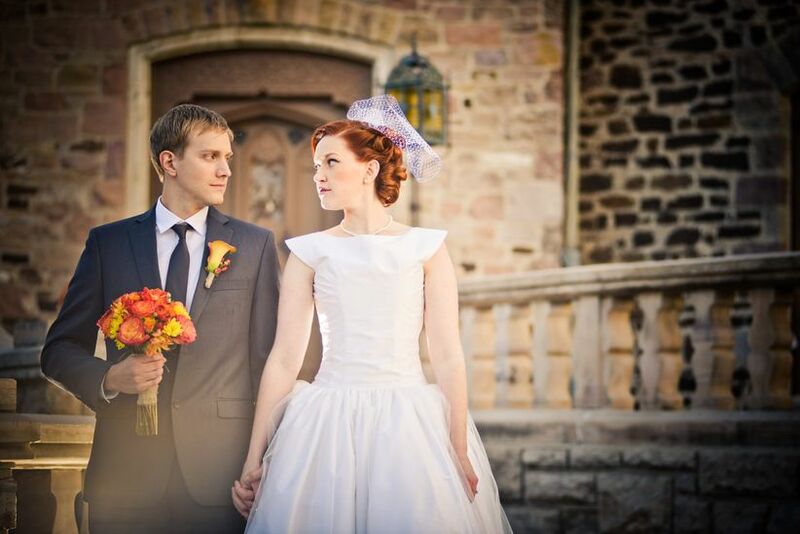 While much has changed over the hundreds of thousands of years weddings have been going on, a lot has stayed the same. 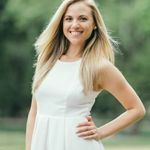 Many brides still wear white, for example, ceremonies are often officiated and a reception typically follows where family and friends celebrate all night long. Thankfully, among the long list of things that have changed over time, wedding superstitions are some of them. Few brides actually want rain on their wedding day, but that doesn’t mean your marriage is doomed to strikes of thunder and lightning. 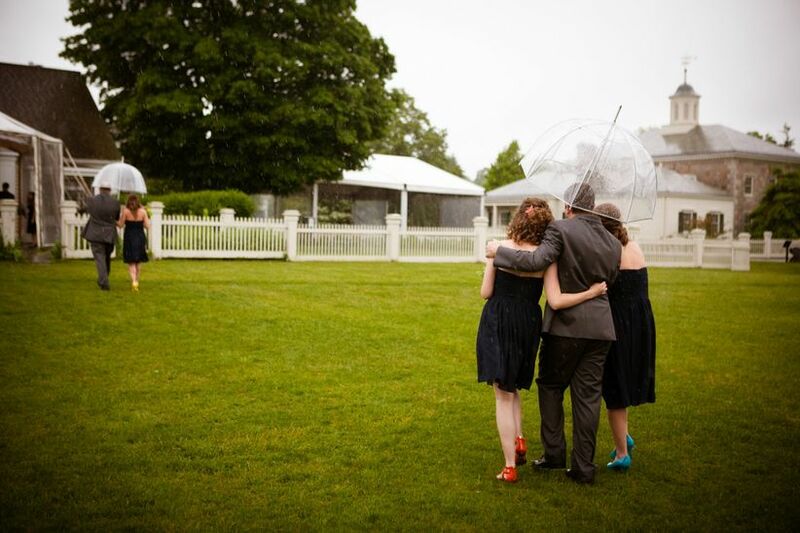 In fact, one of the oldest wedding superstitions out there is that rain on your wedding day is actually good luck. “The presence of rain is known to signify fertility,” explains Lindsey Sachs of COLLECTIVE/by Sachs in Boulder, Colorado and Minneapolis. “When it rains, plants and vegetation grow, so this superstition is known to have roots in agricultural communities.” In many cultures, rain is seen as a symbolism of cleansing, both physically in terms of the earth, but also spiritually in terms of the souls of people walking the earth. Plus, rain can make for some stunning photos. Wearing a white or ivory wedding dress has long been the tradition, as a sign of purity, explains Kimberly Lehman of Love, Laughter & Elegance in Massillon, Ohio. “Before the white gown color was popularized by Queen Victoria of England, many brides wore their best gown, if not simple a new one,” she says. “There was even a poem written as well regarding the bride's choice of gown, and whether it would bode well or ill for her marriage.” (As a side note, one of Lehman’s favorite brides wore an all black gown and a white veil edged in black for her wedding, and she has a very strong marriage to this day!). 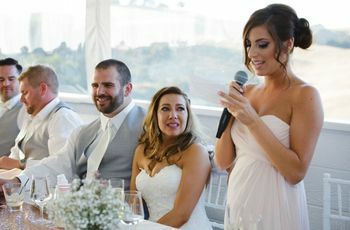 As more and more couples are opting to skip the traditional first look, which involves the couple seeing each other for the first time during the ceremony processional, in favor of a planned first look for the purpose of capturing special photos in a more intimate setting, this wedding superstition is going out the window. 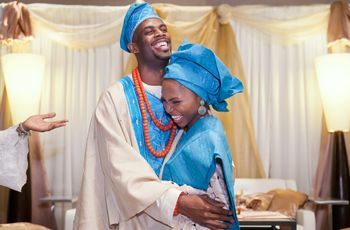 “This tradition began during the time of arranged marriages when the couple-to-be were not allowed to see one another for fear the groom wouldn’t find the bride attractive and threaten to call off the marriage, thus bringing shame to the bride’s family,” explains Sachs. “The veil over the bride’s face was also meant to hide her face until the last possible minute.” Thankfully today, the intent of following this superstition is more rooted in creating an element of complete surprise for the couple, often generating heightened emotions and pure joy! These days it’s not uncommon to add a nice knife block to your registry, but in decades past, it was considered a bad omen. “Knives have been known to bring bad luck, signifying a broken relationship; definitely not a promising way to begin a marriage!” says Sachs. But, as she explains, a set of high-quality knives can be a helpful, if not necessary, addition to a couple’s kitchen set up. So, those who don’t dwell on the lore behind this superstition should be quick to go ahead and add this well-served item without worry. Saturday is without a doubt the most common day of the week to get married—but surprisingly, it used to be the day to avoid. “We can credit English folklore for claiming that Saturday is the most unlucky day of the week to marry with Wednesday being the best!” says Sachs. 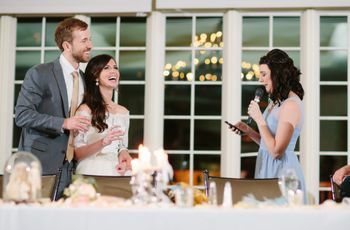 Needless to say this wacky wedding superstition isn’t keeping the modern bride and groom from saying “I do!” over this convenient weekend day. Many brides still don a veil on their wedding day, but more and more do so for aesthetic reasons, rather than for fear of one of the oldest wedding superstitions. 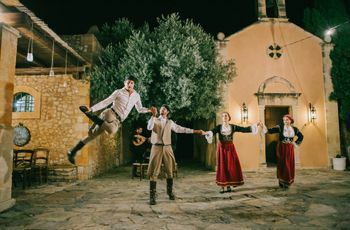 “According to ancient Greek and Roman traditions, a bride wears a veil to ward off evil spirits that intend on doing her harm,” Lehman points out. The veil, she explains is meant to hide the bride's face from witches and demons. In other words, if the evil spirits could not see her, they could not curse her. “It was also considered a symbol of modesty,” Lehman adds. Clearly this superstition has gone out the window—and we can’t say we’re mad about it!